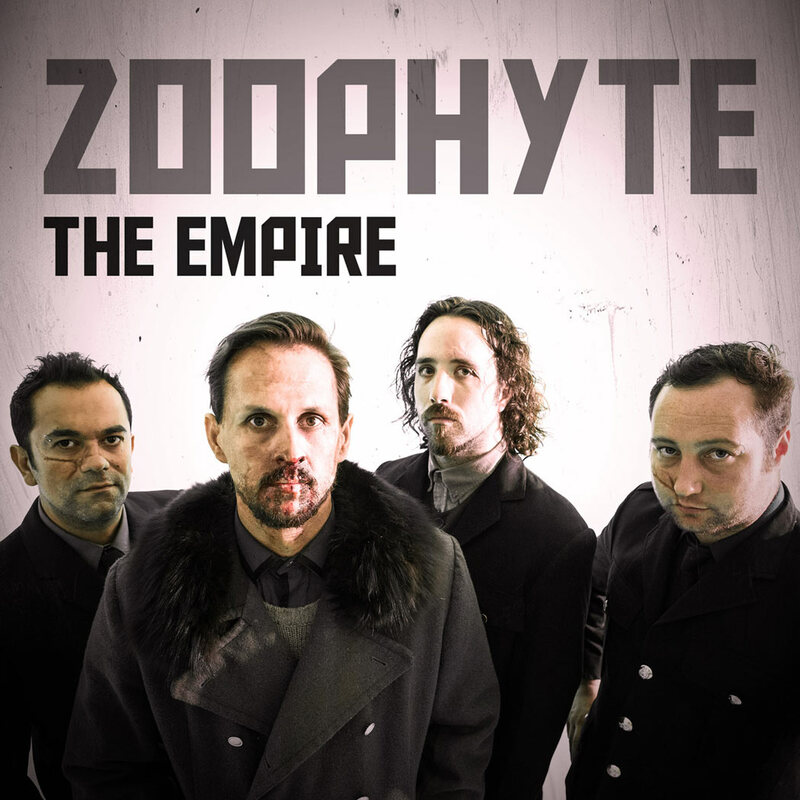 Having bunkered down in the studio for the last 6 months, ZOOPHYTE have now resurfaced with a brand new record, elaborating on the large sounds of their previous release to produce something different, yet still ZOOPHYTE. 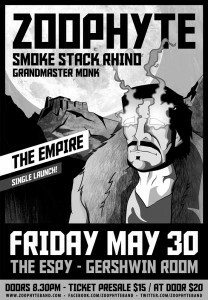 Friday May 30 in the Gershwin Room at The Espy in St Kilda, will be the launch of the Album first single ‘The Empire’, with special guests Smoke Stack Rhino and Grandmaster Monk. Doors open at 8:30pm and tickets can be purchased through The Espy Online Box Office for $15 plus booking fee… or at the door at $20, if still available on the night.